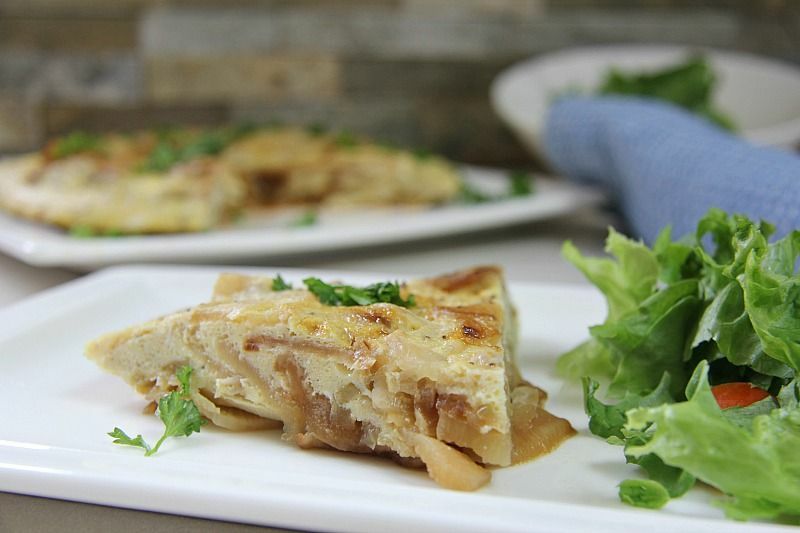 This low carb Spanish tortilla is made with sliced turnips in place of potatoes. 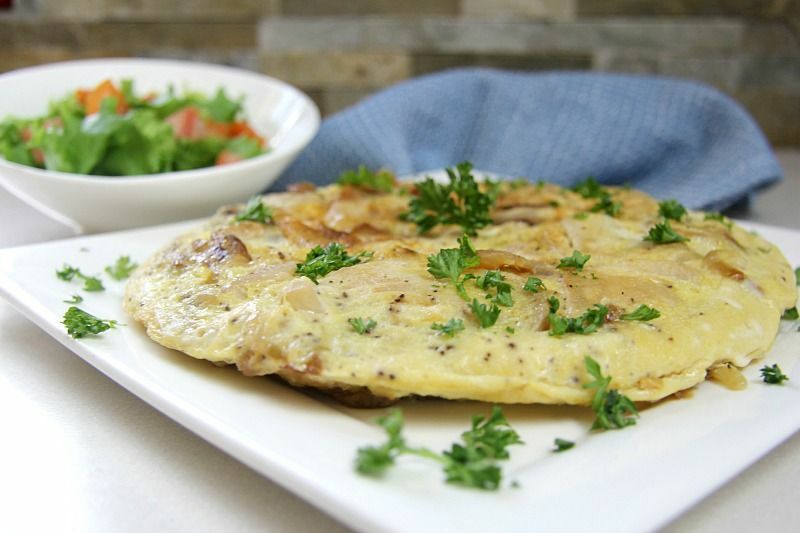 A tortilla is a Spanish dish traditionally made with eggs, onions and potatoes. Not in my kitchen though. 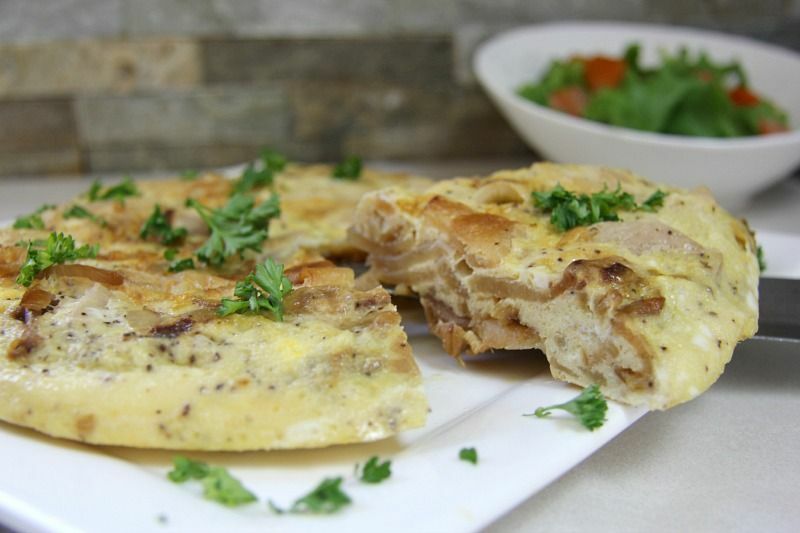 We used to enjoy a Spanish tortilla when we lived back in the UK and visited a local Tapas bar at the weekend. So, to replace the high carb potato I thought I’d try turnip instead to make a low carb tortilla. 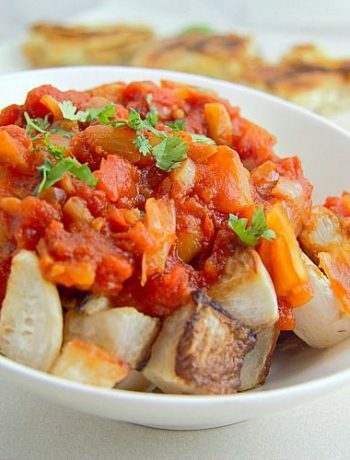 This is a simple dish with just a 3 ingredients and cheap to make too! Which is always a bonus. 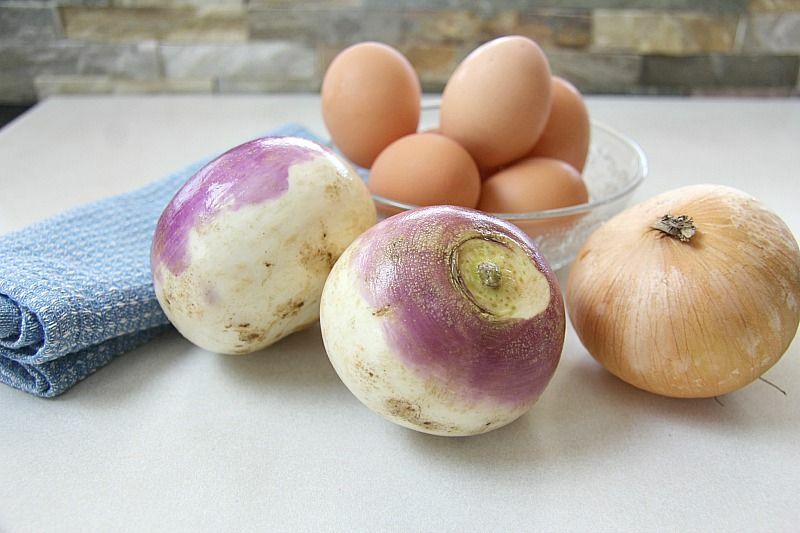 Turnips are a low carb root vegetable and have less than a quarter of the carbs of potatoes. They are also members of the same plant family as cabbage, kale, broccoli and cauliflower so they are in good company! 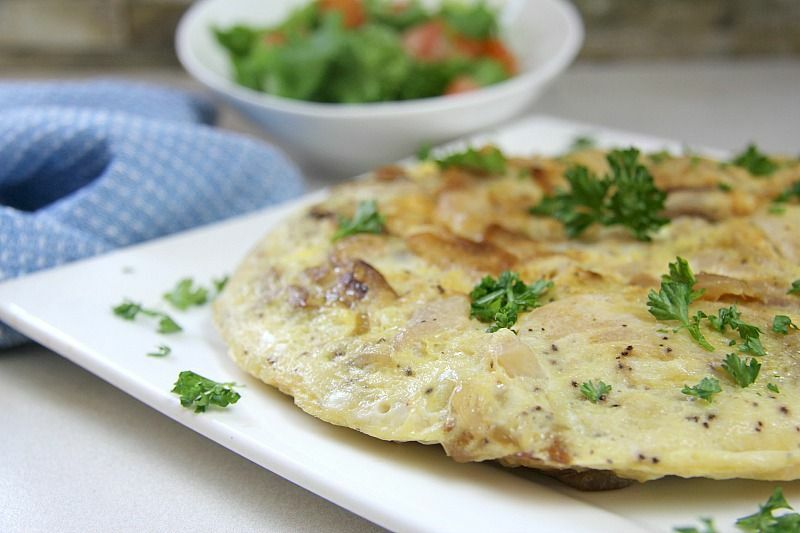 You could add other flavourings and vegetables to this low carb Spanish tortilla, but I wanted to keep it as simple as the original recipe. Next time I might add some smoked paprika. I used an 8 inch frying pan to make this to keep it fairly thick in size. If you use a large pan, you should increase the eggs, or settle for a flatter tortilla. 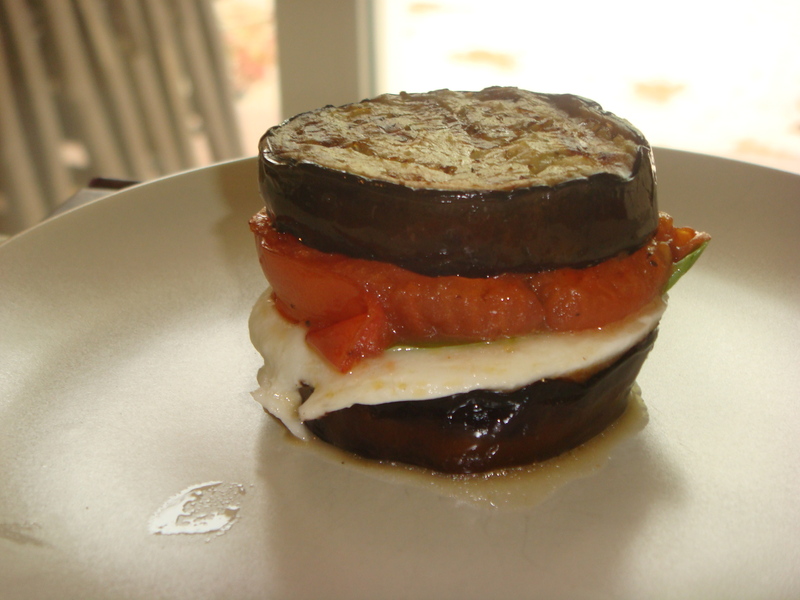 When I told the Chief Taster that he was having a turnip tortilla for dinner, his face was a picture. It’s not something that would normally generate excitement. A slice later and I was asked “Is there any more of that turnip going?”. Not a phrase you hear everyday from a meat eater! I must say I was a bit surprised as I was unsure whether he would like it, plus he had a long busy day at work. Perhaps hunger and stress changed his palate? He declared it gorgeous in between devouring it but preferred it warm rather than cold. I liked both, as I had a piece for lunch the next day, cold. 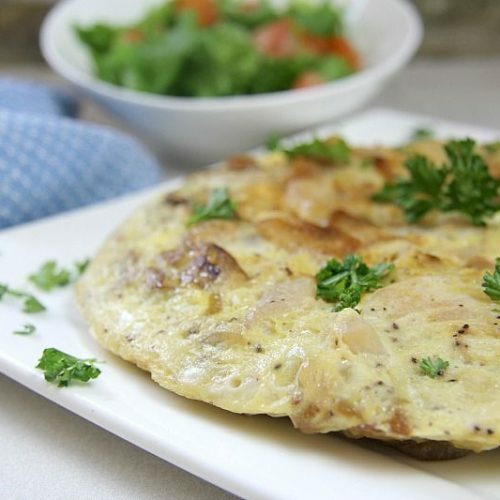 Turnips are widely available in the supermarkets here in St Lucia, so I expect a regular request for this low carb Spanish tortilla from the Chief Taster. 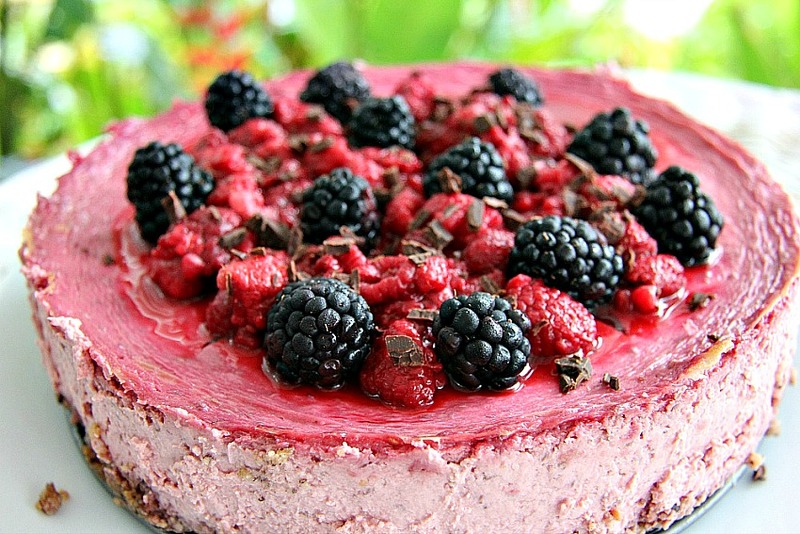 Along with the usual muffins and cheesecake requests! 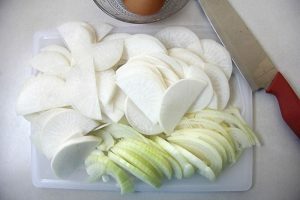 Peel the turnips and slice finely. Heat the olive oil in an 8 inch frying pan. 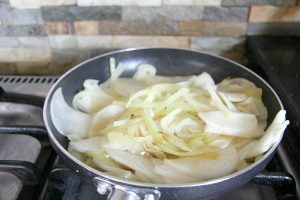 Add the turnip and onion slices, and on a low heat, cook the slice, occasionally turning them until they are golden. In a bowl, beat the eggs and season with the pepper and salt. Pour the eggs into the frying pan and on a low heat, cook until the mixture is almost set. Use a spatula to slightly loosen the edges and carefully flip the pan over a dinner plate and tip out the tortilla. Slide the tortilla back into the frying pan and cook for a further 5 minutes. Turn out the tortilla onto a plate and enjoy hot or cold.